Our Funarena! : New Year Day Musings! 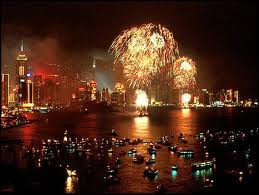 New Year 2012 has been ushered in with a lot of funfair and celebrations across the globe. From the early birds of New Zealand to the die hard revelers of Goa inspired and charged up scenes were witnessed everywhere. In Mumbai too people of all age groups stayed awake late into the night to welcome 2012. Deafening fireworks erupted just when the clock struck 12. Waiting for 12 to welcome 12! Good vibes around! The celebrating spirit was nearly crushed with the news of a 7 point magnitude earthquake thathit Japan just hours after 2012 arrived. But fortunately, there have been no reports of loss of lives and danger of tsunami was also dismissed. With the March 2011disaster still fresh in mind Japan definitely did not want another tragedy particularly on a New Year Day. In India spurious liquor killed 18 persons in the state of Andhra Pradesh today. People celebrate subject to what they can afford. Poor ones celebrate with cheap country liquor poisoned by the death merchants. This is India’s truth, New Year or not. Our solace is that major tragedies did not mar this great day. Anna Hazare, the crusader against corruption in India, could not spend this great day in his hometown Ralegan Siddhi. He was taken ill last night and had to be rushed to the nearby major city Pune. He was hospitalized immediately and doctors attending on him said he was stable, but needed at least 4/5 days rest and could not fast for one month. The core committed meeting of Team Anna had to be deferred too. Righteous citizens are saying that God does not help you when you no longer have strength of conviction and morale. After the historic achievements in April and August of last year Anna turned political and had been uncharacteristically inconsistent. When fast was not the right decision he sat on fast and had to call if off midway, now he cannot fast at all for one month at least. And, for the first time Anna had been avoiding the media on his illness and hospitalization. This does not mean that fight against corruption is losing its conviction. In Shillong, a beautiful city in North East India, a group of people took a dip in the icy-cold water of a lake at the midnight hour to reaffirm their continued fight against the evil. 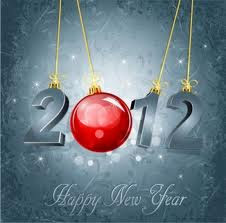 Let 2012 bring joy to all and offer solutions for betterment of the global citizens. Apparently corruption is like rust: it never sleeps. Not even on New Year's Eve. What a downer.